Tell my tale to those who ask it. Tell it truly, the good and the bad, and let me be judged accordingly. The rest… is silence. 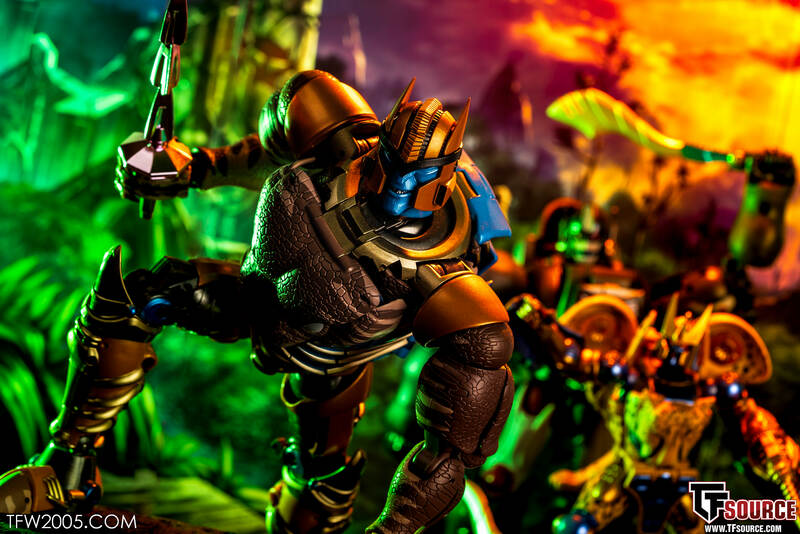 MP-41 Masterpiece Dinobot is in the wild! 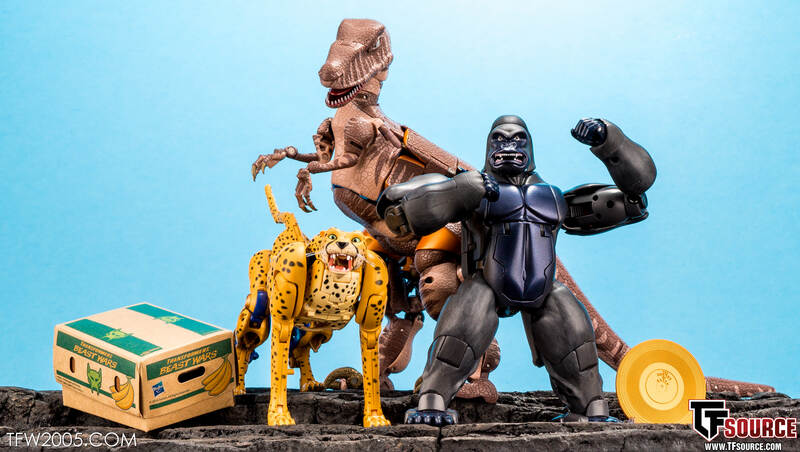 The latest of the Beast Wars Masterpiece figures joins his teammates Optimus Primal and Cheetor on the front lines. MP-41 runs in scale with the rest which means he is BIG, standing at 9.5 inches in robot mode compared with Primals 7. 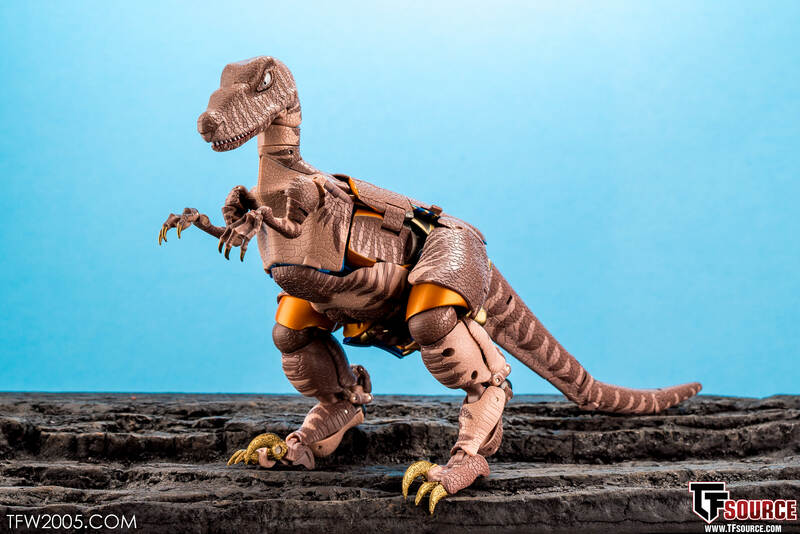 2.5 inches is a big difference in this scale, especially when you take into account the hefty upper body Dinobot has. 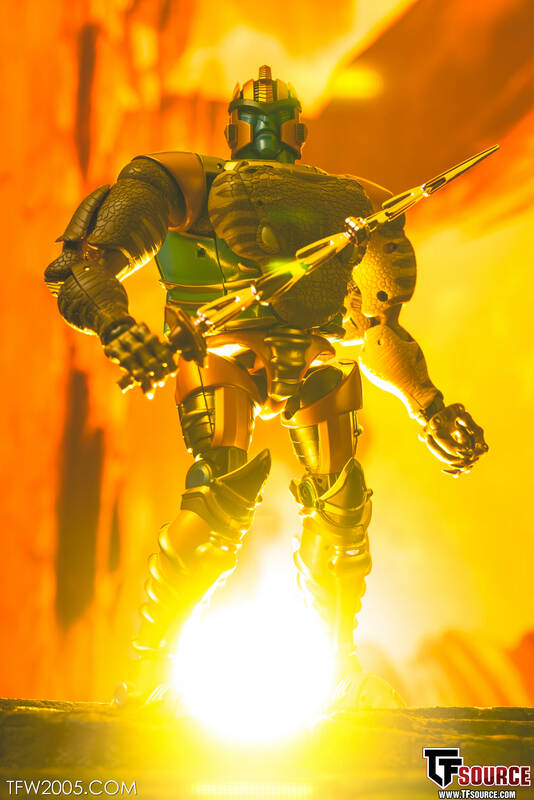 He comes packed with 3 alternate heads, a sword, Golden Disk and stand for it, hand connector for the disk, laser beam eye effects and a diesel figure stand with connection parts. 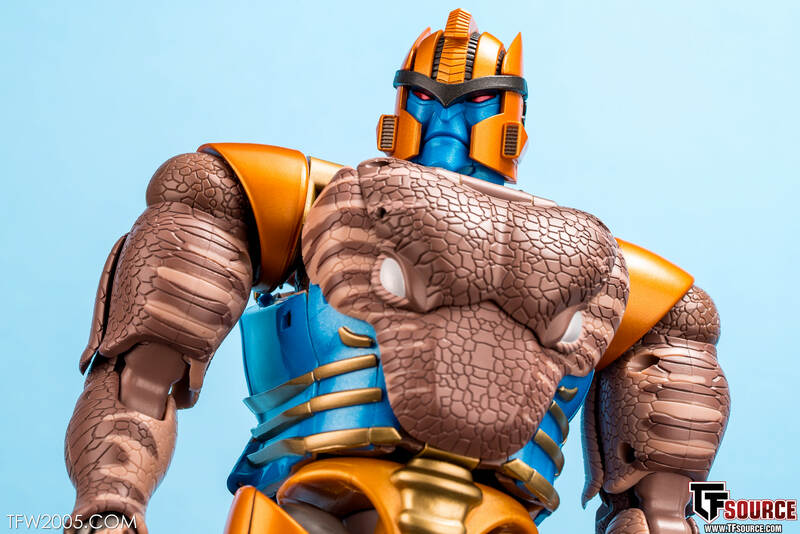 Paint is meticulous and high quality throughout, replicating the dino skin pattern from the show and metallic orange yellow and blue in robot mode perfectly. All in all, it’s another stellar piece. There are some balance issues I ran into in both modes which keeps it from being a 10, especially given the higher price point, but even knowing that I would not hesitate to grab him again. Totally worth it! 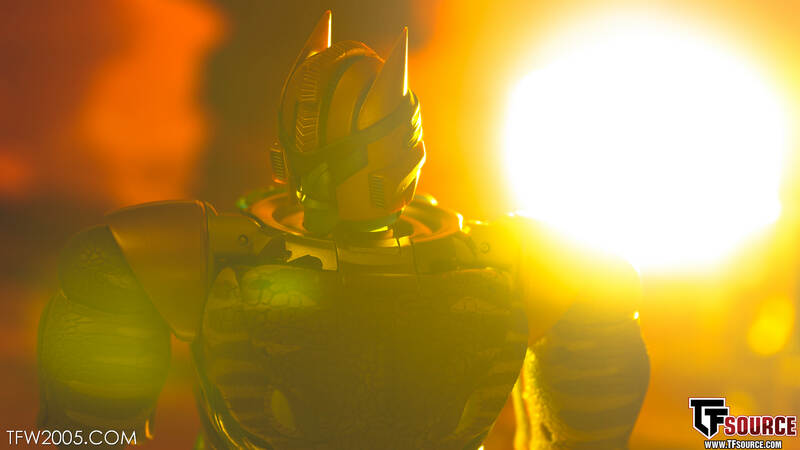 Read on to check out 100 pics of Choppaface after the break courtesy of TFSource! He’s in stock and shipping now! 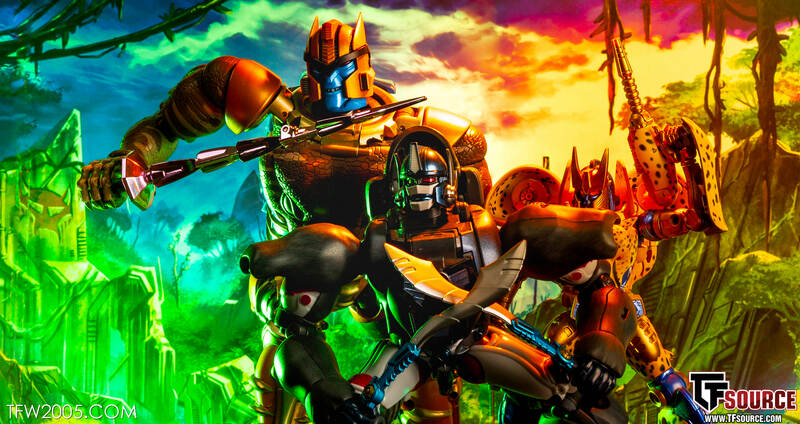 Recent Masterpiece Releases:Masterpiece Pre-Orders, Dinobot, Optimus Primal, MP40 TM Hot Rod, Sunstreaker, Megatron. The colors reminded me of the Mad Titan. "The question that once haunted my being has been answered. The future is not fixed, and my choices are my own. And yet, how ironic… for I now find that I have no choice at all! I am a warrior… let the battle be joined." 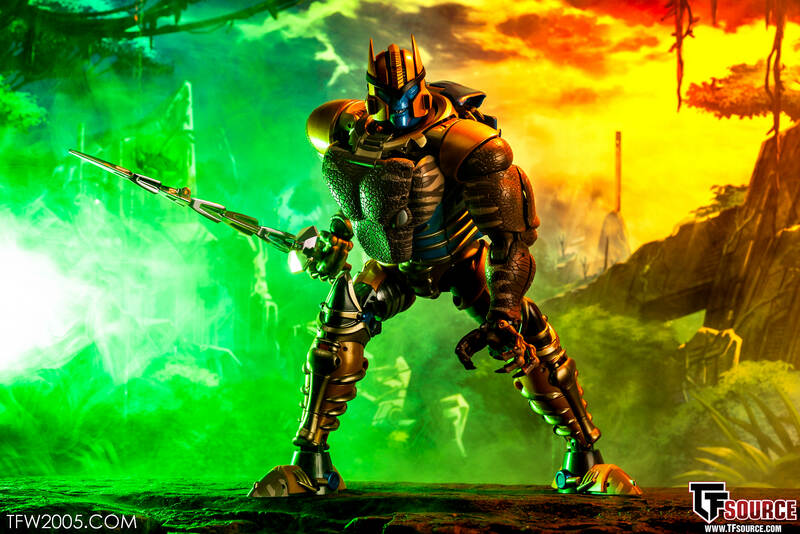 dammit my local toy store skipped out on MP Dinobot. Time to ask a friend in Japan for a favor. Depends on the episode. Call of the Primitives is a sight to behold. My apologies. The burden hardest to bare is also really nice. Probably my favourite episode of the season. Animation was pretty bad though. Aside from a few episodes & the movie, G1 is generally terrible. (As were most80's toy commercials) I think it's a shame that (and this is pure conjecture on my part), Hasbro forced the writers to connect BW to G1, rather than allowing the show to be it's own thing. I mean connecting them doesn’t hurt either show really. Also GEEWUN is more hilariously bad than actual trash. So are you saying it’s a weak point because it’s connected to it? 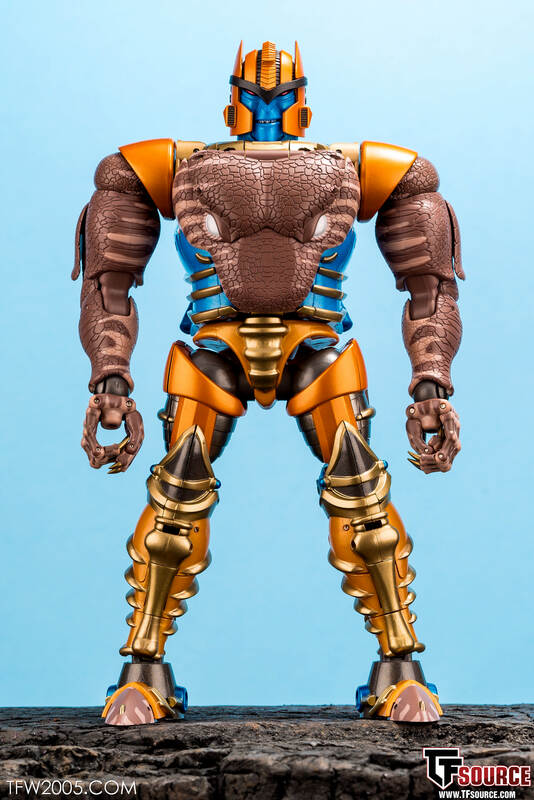 And that's the strongest and simultaneously the weakest point of Beast Wars. Because the G1 cartoon was vastly inferior to BW. 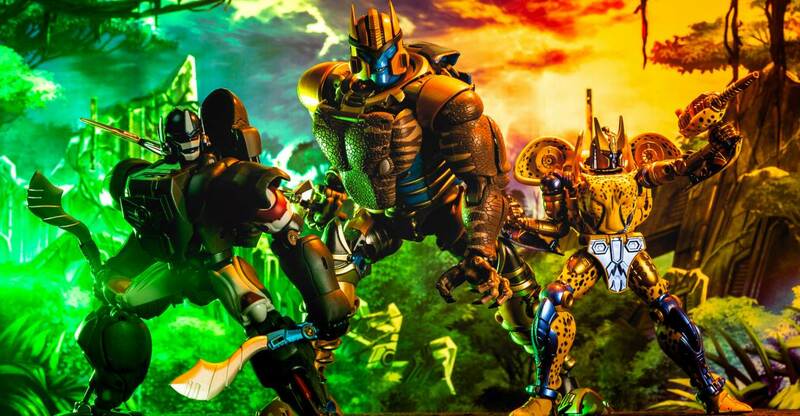 Beast Wars fits with a G1 universe, but it isn't the Sunbow G1 universe specifically. Whoever buys this for me, I'll be your friend 'til the end! Courtesy of TFSource! He's in stock and shipping now! These photographs are truly amazing and inspirational to an aspiring hobby toy photographer, thank you! Amazing! Really, really, really great shots. Oh that’s what you meant. I thought you were talking about his robot back and I was like what? Yeah that could use a filler. Especially since there’s already a port to peg something in. Maybe it could be a small little dancetron or a small place for a cassette to chill out. Honestly I think it could be solved if they did a different deco that would blend with it. 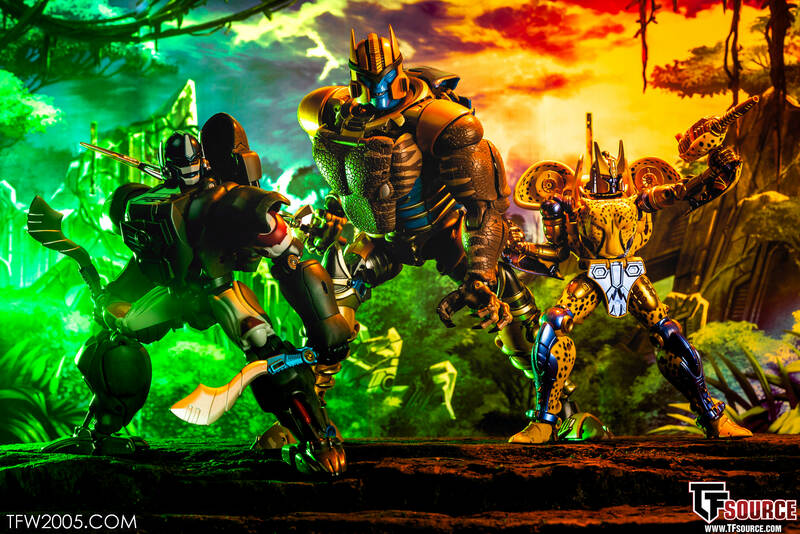 Like beast wars grimlock. Wait what was wrong with soundwave’s back? All times are GMT -4. The time now is 1:45 PM.